Price just dropped! Owners want this beauty sold. The Valiant 40 is one of the finest offshore passage making cruisers designed by Bob Perry. The Valiant 40 since 1974 has been crossing oceans, circled the world, broke records, and explored some of the most beautiful places on this planet. 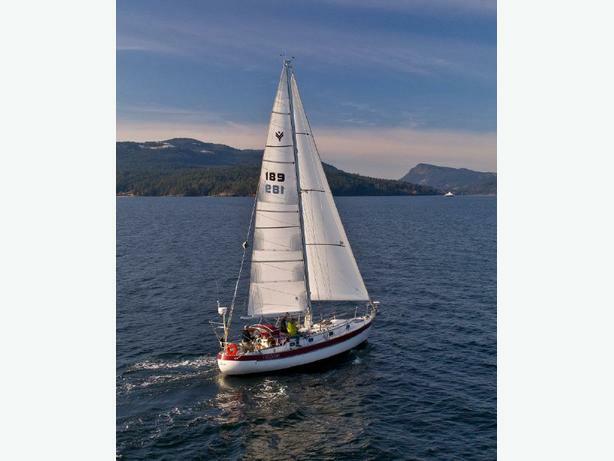 The Valiant 40 has a true cutter rig, and generally speaking, sails and balances very well. The boat has a broad bow which accounts for a fine entry and nice dry deck in most seas. The concept of the double ender became very popular with this design. The Valiant 40 has now been introduced into the American Sailboat Hall of fame. This Valiant 40 has certainly proven her mantle as a capable offshore cruiser with this being the third owner. She has spent her life in many different waters, exploring and safely creating amazing adventures for each owner. Single handling her is a breeze. This is without a doubt, a very well designed boat, easy to sail and she can cruise. This is your chance to experience and own one of these fine vessels for yourself. Give me a call and I'm sure you will be glad you did!